An early (1981) two-word parser adventure from a little-known company. Inferno boasts attractive packaging for its era, a square cardboard case with decent artwork at a time when most games hadn't yet made it out of the plastic bag stage. Despite the impression the cover may give, it's your standard fantasy treasure hunt, more Colossal Cave than Dante. I'd heard of this game for some time, but wasn't sure of the publisher until I got an actual copy. 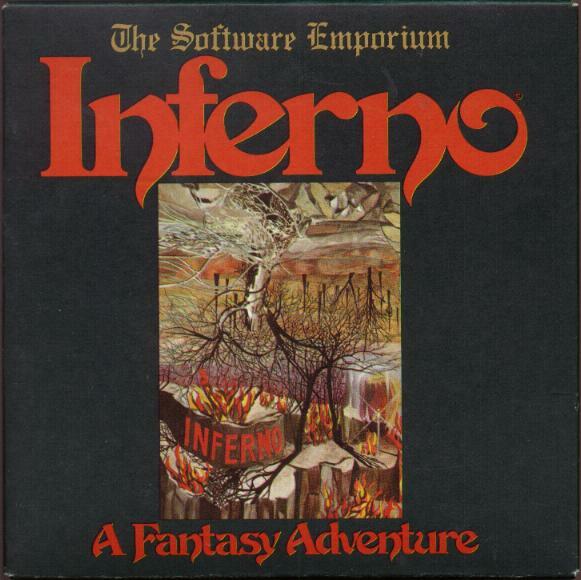 I couldn't tell you what else Software Emporium published, if anything.